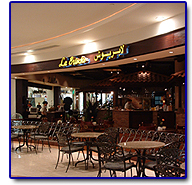 Way back in 1984, La Brioche brought the concept of modern cafes to the capital city of Abu Dhabi, when it opened its first La Brioche outlet in the posh Khalidiya Area. 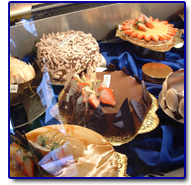 Since then La Brioche Management has worked tirelessly in its mission to provide premium quality authentic French pastries, bakery items, light snacks along with hot & cold beverages to the utmost satisfaction of its loyal customers. Today, La Brioche is well known in Abu Dhabi & Al Ain as an authentic French café & Pastry shop, where you can find mouthwatering cakes & pastries, innovative hot & cold beverages and satisfying light snacks which are served by friendly, efficient & ever smiling staff. Innovation in the pastries & bread has been the corner stone of La Brioche’s success and today many of our cakes are rightly known as La Brioche cakes instead of its original name. La Brioche provides the comfortable ambiance to its valuable customers, for their unique experience in feeling welcome to the extent that it has become second home to most of the customers! Today, we can proudly say that La Brioche has become a destination for its customers. 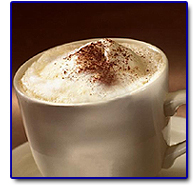 La Brioche stands out from the plethora of cafes which have mushroomed in the last 5 years. The outlet in the fashionable environs of Marina Mall. The authentic French decor Al Ain outlet. The latest outlet in attractive Al Ain Mall. La Brioche has been aggressive in its marketing during the last 3 years and ran many successful promotions in associations with prestigious sponsors like Citibank, Etihad Airlines, Coca-Cola, Evian water, Bank of Oman and many others. Now, La Brioche is poised, for growth and expansion. 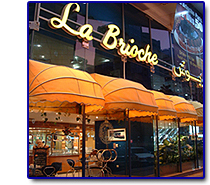 La Brioche’s vision is to expand its business to Dubai & Northern Emirates as well as expand its number of outlets in Abu Dhabi & Al Ain in the near future, while maintaining its uniqueness in terms of quality & customer satisfaction.